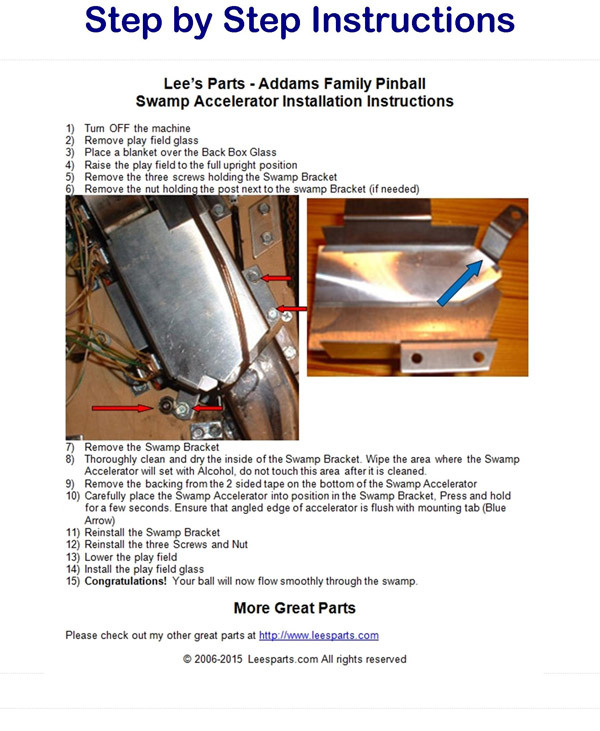 LeesParts Pinball Mods are specifically designed to be easy to install and interact with each pinball machine to improve game play, enhance appearance or solve a problem. All of LeesParts Pinball Mods are individually handcrafted using quality materials. "Good show old man!" Installation is quick and easy using the step by step illustrated instructions included with every item. 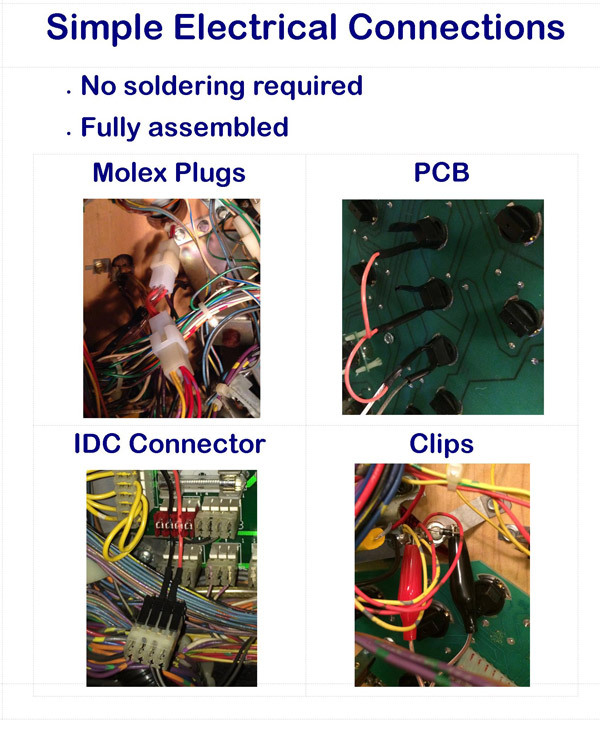 Electrical connections are simple and do not require cutting wires or soldering. 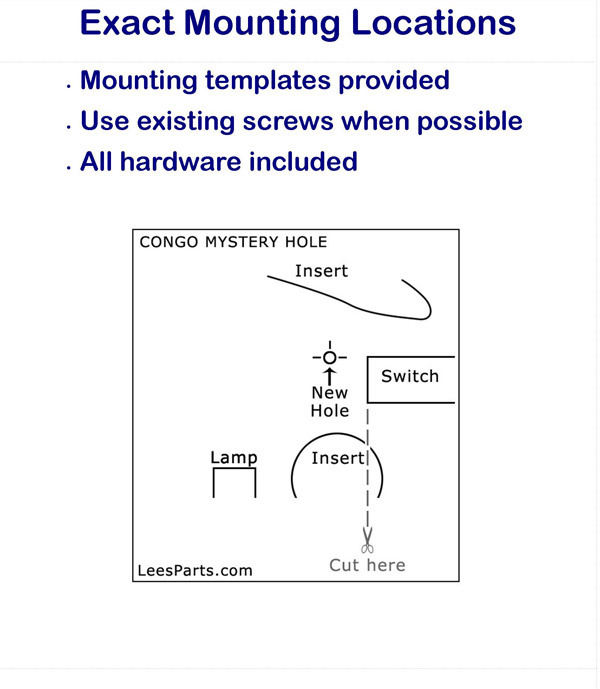 Templates provide exact mounting locations and all requried hardware is included. "Don't torture yourself." Just ask me any questions you may have about my products. Be sure to check out my Tips page before installing your items, any updates to the installation instructions will be posted there.